Director since 30 July 2000, holds a Masters in Economics (Highest Honors) from the American University, Cairo, 1980, Bachelors in Economics (Highest Honors) from American University, Cairo, 1977. Group Chief Executive Officer & Managing Director, Ahli United Bank BSC, (Bahrain); Deputy Chairman, United Bank for Commerce & Investment S.A.C., (Libya); Vice Chairman, Middle East Financial Investment Co, (Saudi Arabia); Director, Ahli United Bank (UK) Plc; Director, Ahli United Bank KSCP, Kuwait; and Director, Ahli United Bank DIFC Branch, (UAE). 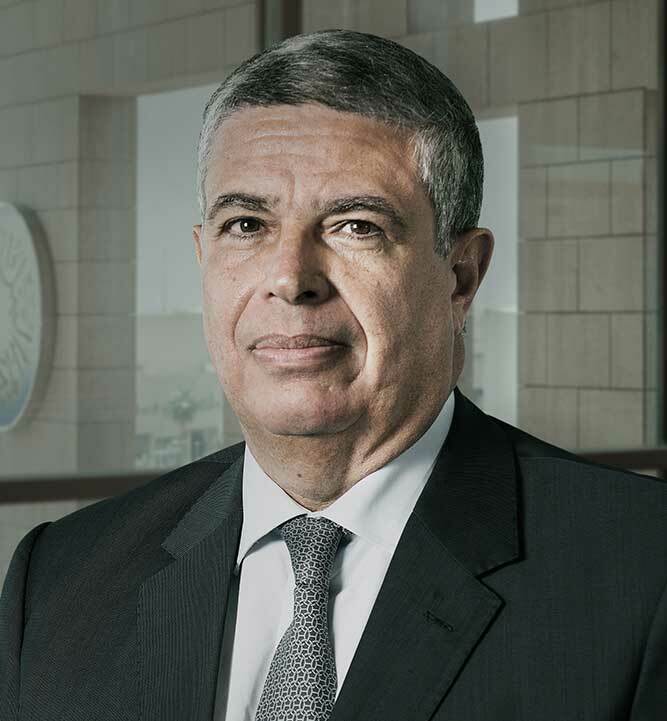 Formerly: First Deputy Chairman, Ahli Bank SAOG, (Oman); Deputy Chairman, Ahli United Bank (Egypt); Deputy Chairman, Commercial Bank of Iraq; Director, Bahrain Bourse, formerly Bahrain Stock Exchange; Director, Kuwait & Middle East Financial Investment Co, Kuwait; Director, Bahrain Association of Banks, Bahrain; Chief Executive Officer and Director, United Bank of Kuwait PLC, UK; Managing Director, Commercial International Bank (Egypt) SAE; Chairman, Commercial International Investment Company, (Egypt); Vice President, Corporate Finance, Morgan Stanley, USA; and Assistant Vice President, Arab Banking Corporation, Bahrain. 40 years of experience in financial service sector.